Professor Min Wu (ECE/ISR) has been named the Editor-in-Chief of the IEEE Signal Processing Magazine. Wu is the second woman to hold this position for the IEEE’s highly influential technical publication in signal processing. She will serve for a three year term, beginning in January 2015. The IEEE Signal Processing Magazine features articles covering a range of topics from fundamental principles to practical implementation. Its scope reflects the multidimensional faces of interests and concerns in the signal processing community. The mission of the publication is to bring up-to-date, emerging, and active technical developments, issues, and events to the research, educational, and professional communities. As the main communication platform for the IEEE Signal Processing Society, it also addresses important issues concerning all members. The magazine, which was started 25 years ago in its current scope and name, traces its history back to 1970 and has been top ranked in ISI impact factor and influence scores multiple times in recent decades among all 250 journals in electrical engineering and information technologies. Professor Wu’s colleague and mentor in the department, Professor K.J. Ray Liu, previously served as the editor-in-chief of this magazine from 2003 - 2005. More information about the IEEE Signal Processing Magazine, and information on how to submit an article for publication, can be found at the website. 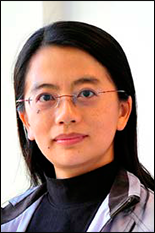 Wu is the second woman to hold this position for the IEEE’s highly influential technical publication in signal processing.